I used to think that writing was 90% first draft and 10% editing—after the grueling experience of writing my first book, I now know it’s rather the other way around. Editing is still prone to give me a headache, a self-pitying crying fit, and make me binge-eat all the licorice in the household, but it’s getting easier. I’ve even learned to love editing. Here’s how. 1. THE RIGHT ATTITUDE—POLISH THAT DIAMOND! We like to think that our precious book is so perfect that it doesn’t really need editing, right? I certainly used to think this way. Try to abandon this delusion as soon as possible. 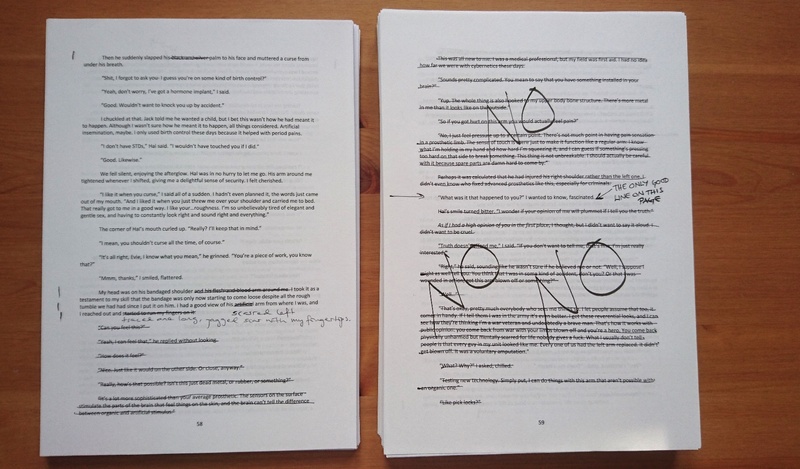 Every book needs editing. This is simply a fact of life and the sooner you accept it the easier your author career will be. You don’t want to receive emails from your readers listing your typos and informing you about missing words, pointless chapters, and character arcs that don’t go anywhere. Having to edit doesn’t mean your book is bad; it just means you have to put in the work to bring out its shine. It’s a valuable piece of material, but it doesn’t look very impressive. I might confuse it for a glass shard. It’s the same thing with first drafts. Your first draft is a lump of good material, but you wouldn’t want to wear it on a ring. It needs work to bring out the shine. 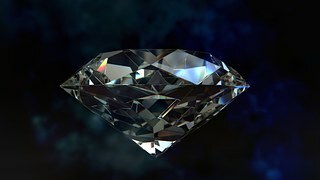 Diamonds have to go through some serious cutting and polishing before they can be put on display at the jeweler’s. This is what you want your published book to be like, right? And this is what the readers want to get their hands on. Don’t take editing as an insult; see it as a service to your book. You want your baby to be beautiful, so cut and polish as viciously as you can! Probably the best editing advice I read somewhere (I can’t remember where because I’ve read so many writing blogs it’s all a blur in my head) is “kill your darlings”. This is probably also the hardest advice to take, at least for me. As a writer, you fall in love with your work, especially some word or a phrase or a character or a plot twist—and because you love it so much you insist on keeping it in your story even when it actually doesn’t fit the story very well. When I first wrote His Hostage, I had a reference to Space Odyssey 2001 at the end of the book. I revealed that the male protagonist had picked his name from the movie’s infamous AI HAL. I just thought it was a brilliant idea at the time. My beta readers weren’t really convinced by the ending. One after another kept saying that it didn’t work, but I didn’t want to listen. Thankfully in the end I did listen and I rewrote the ending—bye bye Space Odyssey 2001 reference—but it felt like killing my favorite part of the book. But the thing is, I suspect nobody else cared about it except me. 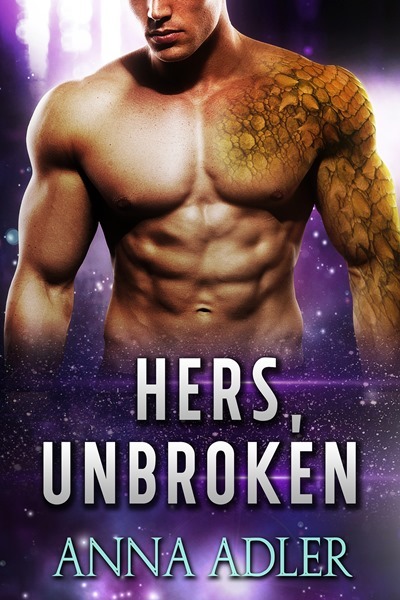 I was in love with an unfitting concept and when I kicked it, the book turned a lot better. Listen to your beta readers—get rid of ideas that don’t work even if they’re your favorites. But here’s how to make it easier for you: when you rewrite a scene, don’t delete the old material; save the new version as a new draft instead. I have 11 versions of His Hostage saved on my hard drive because that’s how many drafts it took to get it right. Every time I made significant changes, I saved it as a new draft. I didn’t delete any of my mistakes; I merely left them behind. This eased my pain significantly and I was able to make bolder decisions when rewriting. I used to be hesitant to rewrite anything because I thought, “But what if I regret this later?”. Now I’m thinking, “Well, if Draft 7 doesn’t work, I can always go back to Draft 6 and try again.” I haven’t lost anything. I can any time read the old versions that used to mean so much to me. A frequent problem of mine: how do I recognize what needs editing? Which words are unnecessary? Which chapters lack punch? Which characters come across weird? My two favorite solutions are beta readers and ProWritingAid, but because I don’t want to dump just any garbage on innocent people or innocent software, I first of all edit and revise on my own. I write on a PC, but I noticed that the story somehow looks different on paper than it does on screen. I discovered this by accident because hubby and I were going out of town for a week and I had to leave my PC behind, so I printed out my WIP to work on it while we were away. Maybe this is obvious to everyone else, but to me it was a revelation—editing was easier on paper! I could pick up repetition and clumsy sentences much better, not to mention plot points that didn’t deliver. Now, whenever the text starts to look good on screen, I print it out and see if it looks good on paper as well. Usually it doesn’t. To me the best thing about editing is when I actually notice the story has improved. I think I have written a good one, but somehow through editing I’ve turned it even better. This feeling is even more amazing than the relief of finishing the first draft, so yes, I love editing. It’s so rewarding in the end! I also love learning new stuff. Do you have editing tips for me? How do you cope with hacking and slashing your manuscript? Great advice! I do the same thing keeping all my old versions as I edit, and I almost never have problems cutting parts that don’t work. I recently finished my second draft, and I’ve stepped back to analyse the overall structure of my manuscript. Guess what. I think it has some major problems – I may even have to rewrite the whole first half. It’s a little intimidating, but I’m excited. 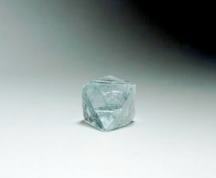 I want my book to look like the second diamond, and I’ll cut and polish as much as it takes to get it there. Yay, thank you! 🙂 I’m glad to hear you also keep the old versions of your manuscripts. It’s also kind of like documenting your progress: later you can browse them and celebrate how far you’ve come (but gosh I have such a cringe-fest whenever I look at my old writing…). WHAT ARE YOUR WRITING PHASES?